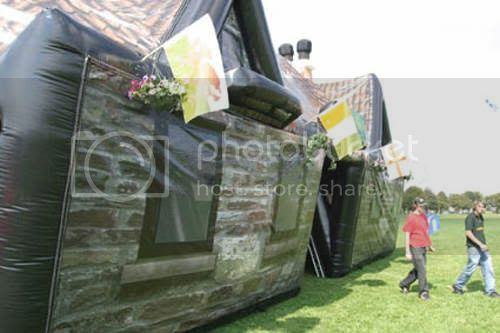 Designed and built by Airquee Ltd, the pub is 40ft long, 19ft wide and 22ft high. It can be customised for use as a fully working pub, with room for a bar and 30 customers. 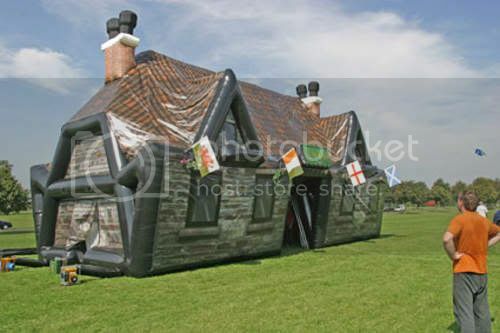 The pub can be erected in 10 minutes with 2 small blowers and can be sited on any firm, level surface. 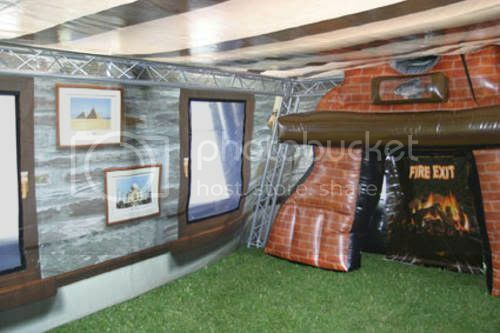 An internal aluminium frame can be used to support additional lighting, sound systems and also doubles as a safety barrier.